In the spring of 2002, as we searched for our own kettle corn equipment, we quickly discovered there was a need for professional kettle corn equipment at a fair price. With many years of experience in the metal fabrication industry, we knew we could meet that demand. That was the beginning of our kettle corn adventures! 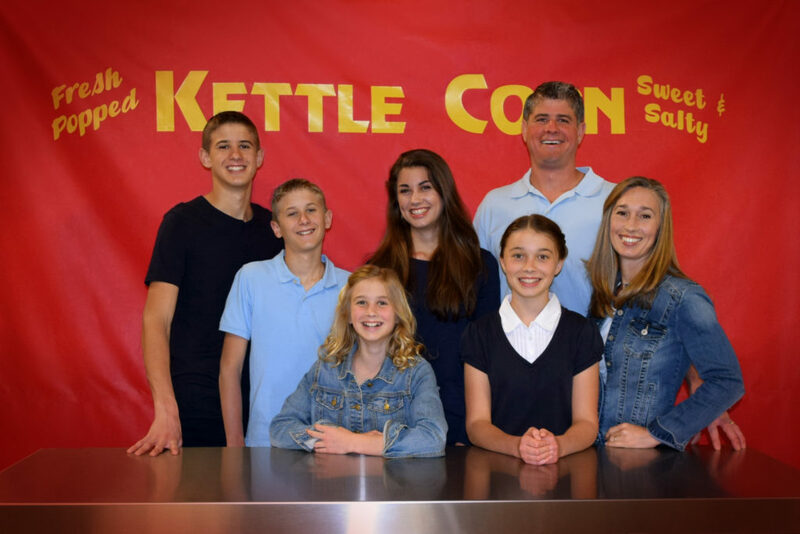 Since then, we’ve helped hundreds of families start successful kettle corn businesses. Our customers can be found in all 50 states, as well as in 20 countries spanning 5 continents. We’ve made so many friends (you can meet some of them on our kettle corn DVD) and still love to pop–& eat!–kettle corn ourselves. Brad has over 18 years of experience in the metal fabrication industry. During that time, he has designed and fabricated many products with a perfectionist’s eye. You can be sure your equipment will be manufactured to a high standard as he oversees daily operations. Working mostly behind the scenes, Andrea oversees customer service and helps keep operations running smoothly. Our Administrative Assistant, Regina, is most likely the voice you’ll hear when you call North Bend Kettle Corn Equipment. She manages the office, processing orders and makes sure your needs are met with prompt consideration. Regina has many years of office experience; you will benefit from her friendly personality and attention to detail.